James Maury Henson (September 24, 1936 – May 16, 1990) was an American puppeteer, artist, cartoonist, inventor, director, producer and screenwriter, who achieved worldwide notice as the creator of The Muppets (1955–) and Fraggle Rock (1983–1987). Born in Greenville, Mississippi, he was raised in Leland, Mississippi and Hyattsville, Maryland. Henson began developing puppets while attending high school. He created Sam and Friends while he was a freshman at the University of Maryland, College Park, a five-minute sketch-comedy puppet show that appeared on television. He graduated from the University of Maryland with a degree in home economics, after which he produced coffee advertisements and developed some experimental films. He founded Muppets, Inc., in 1958, which became The Jim Henson Company. Henson joined the children's educational television program Sesame Street where he helped to develop characters for the series. He also appeared on the sketch comedy show Saturday Night Live. He produced The Muppet Show in 1976, after scrapping plans for a Broadway show. He gained attention for his creations, particularly Kermit the Frog, Rowlf the Dog and Ernie and he was involved with Sesame Street for over 20 years. During the later years of his life, he also founded the Jim Henson Foundation and Jim Henson's Creature Shop. He won the Emmy Award twice for his involvement in The Storyteller and The Jim Henson Hour. Henson died suddenly in May 1990 at age 53 from toxic shock syndrome, an unexpected event that was widely lamented in the media and entertainment industry. In the weeks following his death, he was celebrated with a wave of tributes. He was posthumously inducted into the Hollywood Walk of Fame in 1991 and was selected to be one of the Disney Legends in 2011. James Maury Henson was born in Greenville, Mississippi, on September 24, 1936, the younger of two children of Paul Ransom Henson (1904–1994), an agronomist for the United States Department of Agriculture and his wife Betty Marcella (née Brown, 1904–1972). He was raised as a Christian Scientist and spent his early childhood in Leland, Mississippi, before moving with his family to University Park, Maryland in the late 1940s, near Washington, DC. He remembered the arrival of the family's first television as "the biggest event of his adolescence," having been heavily influenced by radio ventriloquist Edgar Bergen and the early television puppets of Burr Tillstrom on Kukla, Fran and Ollie and Bil and Cora Baird. He remained a Christian Scientist at least into his twenties, when he would teach Sunday School, but he wrote to a Christian Science church in 1975 to inform them that he was no longer a practising member. Henson began working for WTOP-TV (now WUSA-TV) in 1954 while attending Northwestern High School, creating puppets for a Saturday-morning children's show called The Junior Morning Show. He enrolled at the University of Maryland, College Park as a studio arts major upon graduation, thinking that he might become a commercial artist. A puppetry class offered in the applied arts department introduced him to the craft and textiles courses in the College of Home economics, and he graduated in 1960, earning a bachelor of science degree in home economics. As a freshman, he had been asked to create Sam and Friends, a five-minute puppet show for WRC-TV. The characters on Sam and Friends were forerunners of the Muppets, and the show included a prototype of Henson's most famous character Kermit the Frog. Henson remained at WRC from 1954 to 1961. In the show, Henson began experimenting with techniques that changed the way in which puppetry was used on television, including using the frame defined by the camera shot to allow the puppet performer to work from off-camera. He believed that television puppets needed to have "life and sensitivity" and began making characters from flexible, fabric-covered foam rubber, allowing them to express a wider array of emotions at a time when many puppets were made of carved wood. A marionette's arms are manipulated by strings, but Henson used rods to move his Muppets' arms, allowing greater control of expression. Additionally, he wanted the Muppet characters to "speak" more creatively than was possible for previous puppets, which had random mouth movements, so he used precise mouth movements to match the dialogue. When Henson began work on Sam and Friends, he asked fellow University of Maryland senior Jane Nebel to assist him. The show was a financial success, but after graduating from college, he began to have doubts about going into a career performing with puppets. He spent several months in Europe, where he was inspired by European puppet performers who looked on their work as an art form. Jane and he began dating after his return to the United States. Despite the success of Sam and Friends, Henson spent much of the next two decades working in commercials, talk shows, and children's projects before being able to realize his dream of the Muppets as "entertainment for everybody". The popularity of his work on Sam and Friends in the late 1950s led to a series of guest appearances on network talk and variety shows. Henson himself appeared as a guest on many shows, including The Steve Allen Show, The Jack Paar Program, and The Ed Sullivan Show (although on his appearance on the September 11, 1966, episode of the show—released to DVD on 2011 as part of a collection of episodes featuring the Rolling Stones—Sullivan mis-introduced Henson as "Jim Newsom and his Puppets"). This first national television broadcast greatly increased exposure, which led to hundreds of commercial appearances by Henson characters throughout the '60s. Among the most popular of Henson's commercials was a series for the local Wilkins Coffee company in Washington, DC, in which his Muppets were able to get away with a greater level of slapstick violence than might have been acceptable with human actors and would later find its way into many acts on The Muppet Show. In the first Wilkins ad, a Muppet named Wilkins is poised behind a cannon seen in profile. Another Muppet named Wontkins is in front of its barrel. Wilkins asks, "What do you think of Wilkins Coffee?" and Wontkins responds gruffly, "Never tasted it!" Wilkins fires the cannon and blows Wontkins away, then turns the cannon directly toward the viewer and ends the ad with, "Now, what do you think of Wilkins?" Henson later explained, "Till then, advertising agencies believed that the hard sell was the only way to get their message over on television. We took a very different approach. We tried to sell things by making people laugh." The first seven-second commercial for Wilkins was an immediate hit and was syndicated and reshot by Henson for local coffee companies across the United States; he ultimately produced more than 300 coffee ads. The same setup was used to pitch Kraml Milk in the Chicago area, Red Diamond coffee, several bread products, and even Faygo. In 1963, Henson and his wife moved to New York City, where the newly formed Muppets, Inc., would reside for some time; Henson himself would live there until his death. Jane quit performing to raise their children. Henson hired writer Jerry Juhl in 1961 and puppet performer Frank Oz in 1963 to replace her. Henson later credited both with developing much of the humor and character of his Muppets. Henson and Oz developed a close friendship and a performing partnership that lasted until Henson's death; their teamwork is particularly evident in their portrayals of the characters of Bert and Ernie, Kermit and Miss Piggy, and Kermit and Fozzie Bear. Henson's 1960s talk-show appearances culminated when he devised Rowlf, a piano-playing anthropomorphic dog. Rowlf became the first Muppet to make regular appearances on a network show, The Jimmy Dean Show. Henson was so grateful for this break that he offered Jimmy Dean a 40% interest in his production company, but Dean declined, stating that Henson deserved all the rewards for his own work, a decision of conscience Dean never regretted. From 1963 to 1966, Henson began exploring film-making and produced a series of experimental films. His nine-minute experimental film, Time Piece, was nominated for an Academy Award for Best Live Action Short Film in 1966. The year 1969 saw the production of The Cube, another Henson-produced experimental movie. In 1969, television producer Joan Ganz Cooney and her staff at the Children's Television Workshop, impressed by the quality and creativity of the Henson-led team, asked Henson and staff to work full-time on Sesame Street, a children's program for public television. The program officially premiered on National Educational Television (now known as the Public Broadcasting Service) on November 10, 1969. Part of the show was set aside for a series of funny, colorful puppet characters living on the titular street. These included Grover, Bert and Ernie, Cookie Monster, Oscar the Grouch, and Big Bird. Henson performed the characters of Ernie, game-show host Guy Smiley, and Kermit, who appeared as a roving television news reporter. Around this time, a frill was added around Kermit's neck to make him more frog-like. The collar was functional, as well; it covered the joint where the Muppet's neck and body met. At first, Henson's Muppets appeared separately from the realistic segments on the Street, but after a poor test-screening in Philadelphia, the show was revamped to integrate the two, placing much greater emphasis on Henson's work. Though Henson would often downplay his role in Sesame Street's success, Cooney frequently praised Jim's work, and in 1990, PBS called him "the spark that ignited our fledgling broadcast service." The success of Sesame Street also allowed Henson to stop producing commercials. He later remembered, "it was a pleasure to get out of that world". In addition to creating and performing Muppet characters, Henson was involved in producing various shows and animation inserts during the first two seasons. During the first, Henson produced a series of counting films for the numbers 1 through 10, which always ended with a baker (voiced by Henson) falling down the stairs while carrying the featured number of desserts. For seasons two to seven, Henson worked on a variety of inserts for the numbers 2 through 12, in a number of different styles, including film ("Dollhouse", "Number Three Ball Film"), stop-motion ("King of Eight", "Queen of Six"), cut-out animation ("Eleven Cheer"), and computer animation ("Nobody Counts To 10"). He also directed the original "C Is For Cookie". Concurrently with the first years of Sesame Street, Henson directed Tales from Muppetland, a short series of TV movie specials, comic retellings of classic fairy tales, aimed at a young audience and hosted by Kermit the Frog. The series included Hey, Cinderella!, The Frog Prince, and The Muppet Musicians of Bremen. Concerned that the company was becoming typecast solely as a purveyor of children's entertainment, Henson, Oz, and his team targeted an adult audience with a series of sketches on the first season of the late-night live television variety show Saturday Night Live. Eleven Land of Gorch sketches, aired between October 1975 and January 1976 [inclusive] on NBC, with four additional appearances in March, April, May, and September [of 1976]. Henson recalled, "I saw what [creator Lorne Michaels] was going for and I really liked it and wanted to be a part of it, but somehow, what we were trying to do and what his writers could write for it never gelled." The SNL writers never got comfortable writing for the characters, and frequently disparaged Henson's creations; one, Michael O'Donoghue, quipped, "I won't write for felt." Around the time of Henson's characters' final appearances on SNL, he began developing two projects featuring the Muppets, a Broadway show and a weekly television series. In 1976, the series was initially rejected by the American networks, which believed that Muppets would appeal to only a child audience. Then Henson pitched the show to British impresario Lew Grade to finance the show. The show would be shot in the United Kingdom and syndicated worldwide. That same year, he scrapped plans for his Broadway show and moved his creative team to England, where The Muppet Show began taping. The show featured Kermit as host, and a variety of other characters, notably Miss Piggy, Gonzo the Great, and Fozzie Bear, along with other characters such as Animal. Kermit's role on The Muppet Show was often compared by his co-workers to Henson's role in Muppet Productions - a shy, gentle boss with "A whim of steel" who "[ran] things as firmly as it is possible to run an explosion in a mattress factory." Caroll Spinney, the puppet performer of Big Bird and Oscar the Grouch, remembered that Henson "would never say he didn't like something. He would just go 'Hmm.' That was famous. And if he liked it, he would say, 'Lovely!'" Henson himself recognized Kermit as an alter ego, though he thought that Kermit was bolder than he; he once said of the character, "He can say things I hold back." In 1977, Henson produced the one-hour television special Emmet Otter's Jug-Band Christmas for HBO, which was based on the Russell Hoban story of the same name. Three years after the start of The Muppet Show, the Muppets appeared in their first theatrical feature film The Muppet Movie (1979). The movie was both a critical and financial success; it made US$65.2 million domestically and was at the time the 61st-highest-grossing film ever made. During production of the film, Henson's idol, Edgar Bergen, died at the age of 75. Henson dedicated the film to his memory. A song from the film, "The Rainbow Connection", sung by Henson as Kermit, hit number 25 on the Billboard Hot 100 and was nominated for an Academy Award for Best Original Song. A Henson-directed sequel, The Great Muppet Caper (1981), followed, and Henson decided to end the still-popular Muppet Show to concentrate on making films. From time to time, the Muppet characters continued to appear in made-for-TV-movies and television specials. In addition to his own puppetry projects, Henson aided others in their work. He was asked by the producers of the Star Wars sequel The Empire Strikes Back (1980) to aid make-up artist Stuart Freeborn in the creation and articulation of enigmatic Jedi Master Yoda. Henson suggested to Star Wars creator George Lucas, himself a Muppets fan, that he use Frank Oz as the puppeteer and voice of Yoda. Oz voiced Yoda in The Empire Strikes Back and each of the five subsequent Star Wars films. The naturalistic, lifelike Yoda became one of the most popular characters of the Star Wars franchise. Lucas even lobbied unsuccessfully to have Oz nominated for an Academy Award for Best Supporting Actor. In 1982, Henson founded the Jim Henson Foundation to promote and develop the art of puppetry in the United States. Around that time, he began creating darker and more realistic fantasy films that did not feature the Muppets and displayed "a growing, brooding interest in mortality." With The Dark Crystal (1982), which he co-directed with Frank Oz and co-wrote, Henson said he was "trying to go toward a sense of realism—toward a reality of creatures that are actually alive [where] it's not so much a symbol of the thing, but you're trying to [present] the thing itself." To provide a visual style distinct from the Muppets, the puppets in The Dark Crystal were based on conceptual artwork by Brian Froud. The Dark Crystal was a financial and critical success. The Muppet-starring The Muppets Take Manhattan (1984), directed by Frank Oz grossed $25.5 million domestically and ranking as one of the top 40 films of 1984. However, Labyrinth (1986), a Crystal-like fantasy that Henson directed by himself, was considered (in part due to its cost) a commercial disappointment. Despite some positive reviews (The New York Times called it "a fabulous film"), the commercial failure of Labyrinth demoralized Henson to the point that his son, Brian Henson remembered the time of its release as being "the closest I've seen him to turning in on himself and getting quite depressed." The film later became a cult classic. Henson continued creating children's television, such as Fraggle Rock and the animated Muppet Babies. He also continued to sink into darker, mature themes with the folk tale and mythology-oriented show The Storyteller (1988), which won an Emmy for Outstanding Children's Program. The next year, he returned to television with The Jim Henson Hour, which mixed lighthearted Muppet fare with riskier material. The show was critically well-received and won him another Emmy for Outstanding Directing in a Variety or Music Program, but it was canceled after 13 episodes due to low ratings. Henson blamed its failure on NBC's constant rescheduling. In late 1989, Henson entered into negotiations to sell his company to The Walt Disney Company for almost $150 million, hoping that he would "be able to spend a lot more of my time on the creative side of things" with Disney handling business matters. By 1990, he had completed production on the television special The Muppets at Walt Disney World and the Walt Disney World attraction Muppet*Vision 3D, and he was developing film ideas and a television series entitled Muppet High. Henson married Jane Nebel in 1959 and together they had five children: Lisa (b. 1960), Cheryl (b. 1961), Brian (b. 1963), John (b. 1965, d. 2014), and Heather (b. 1970). Henson and his wife separated in 1986, although they remained close for the rest of his life. Jane later said that Jim was so involved with his work that he had very little time to spend with her or their children. All five of his children began working with Muppets at an early age, partly because, as Cheryl Henson remembered, "one of the best ways of being around him was to work with him." On May 4, 1990, Henson appeared with Kermit on The Arsenio Hall Show, for what turned out to be his last television appearance. At the time, he disclosed to his publicist that he was tired and had a sore throat, but felt that it would soon go away. On May 12, Henson traveled to Ahoskie, North Carolina, with his daughter Cheryl to visit his father and stepmother. Rumors of Henson consulting a physician while there are untrue, but he was noticeably ill. They returned to their home in New York City the following day, and Henson cancelled a Muppet recording session that had been scheduled for May 14. His estranged wife, Jane, came to visit that night. On May 15, at around 2:00 a.m. he was having trouble breathing and began coughing up blood. He suggested to his wife that he might be dying, but he did not want to take time off from his schedule to visit a hospital. Two hours later, he finally agreed to be taken by taxi to the emergency room at New York Hospital in Manhattan. Shortly after admission, he stopped breathing, and an X-ray revealed that he had abscesses in his lungs as a result of a viral infection. Henson was placed on a ventilator, but he deteriorated over the next several hours, despite increasingly aggressive treatment with multiple antibiotics. On the early morning of May 16, 1990, just over 20 hours after being admitted, Henson died at the age of 53 at the intensive care unit of New York Hospital. News of his sudden and unexpected death spread quickly and admirers of his work from around the world responded with tributes and condolences. Many of Henson's co-stars and directors from Sesame Street, the Muppets, and other works also shared their thoughts on his death. David Gelmont, one of the doctors who treated Henson at New York Hospital, first announced that Henson had died from Streptococcus pneumoniae, an infection that causes bacterial pneumonia. However, he confirmed on May 29 that Henson's immediate cause of death was organ dysfunction resulting from streptococcal toxic shock syndrome caused by Streptococcus pyogenes. On May 21, Henson's public memorial service was conducted in Manhattan at the Cathedral of Saint John the Divine. Another was conducted on July 2 at St Paul's Cathedral in London. In accordance with Henson's wishes, no one in attendance wore black, and the Dirty Dozen Brass Band finished the service by performing "When the Saints Go Marching In". Harry Belafonte sang "Turn the World Around," a song that he had debuted on The Muppet Show, as each member of the congregation waved a brightly colored foam butterfly attached to a puppet performer's rod. Later, Big Bird walked out onto the stage and sang Kermit the Frog's signature song "Bein' Green." Dave Goelz as Gonzo, Frank Oz, Kevin Clash, Steve Whitmire, Jerry Nelson, and Richard Hunt sang a medley of Jim Henson's favorite songs in their characters' voices, ending with a performance of "Just One Person." The funeral was described by Life as "an epic and almost unbearably moving event." Henson was cremated and his ashes were scattered in 1992 near Taos in New Mexico. The Jim Henson Company and the Jim Henson Foundation continued after his death, producing new series and specials. Jim Henson's Creature Shop, founded by Henson, also continues to build creatures for a number of other films and series (among them the television series Farscape and films such as The Hitchhiker's Guide to the Galaxy and MirrorMask) and is considered one of the most advanced and well respected special effects studios. As of 2017[update], his eldest son Brian and eldest daughter Lisa are the co-chairs and co-CEOs of the company; his daughter Cheryl is the president of the foundation. Steve Whitmire, a veteran Muppet performer, began performing Kermit the Frog soon after Henson's death; and Ernie in 1993. Whitmire later assumed the roles of Link Hogthrob, starting with the 2000 video game Muppet RaceMania; and The Muppet Newsman from 2008, beginning with a series of viral videos. Whitmire was dismissed from the Muppets cast in 2016; in 2017, Matt Vogel succeeded Whitmire as Kermit. Bill Barretta, who has performed for the Muppets since 1991, assumed the roles of the Swedish Chef; Mahna Mahna; Rowlf the Dog; and Dr. Teeth. Guy Smiley has latterly been performed by Eric Jacobson; and the role of Waldorf, in 1992, was assumed by Dave Goelz. The role of Ernie was briefly assumed by Billy Barkhurst from 2014, before Peter Linz began performing the character in 2017. On February 17, 2004, the Muppets and the Bear in the Big Blue House properties were sold to the Walt Disney Company (the Sesame Street characters were acquired by Sesame Workshop in 2000). As a result of this transaction, Sesame Workshop surrendered the rights to Kermit the Frog, who would no longer appear in most new material for Sesame Street. Sesame Workshop has since begun licensing the character of Kermit from Disney, allowing him to make a guest appearance on Sesame Street's fortieth season premiere in 2009. In addition, Sesame Workshop has made many of Kermit's previous Sesame Street segments available for viewing on their YouTube account. One of Henson's last projects was the attraction Muppet*Vision 3D, which opened at Disney's Hollywood Studios on May 16, 1991, exactly one year after his death. The Jim Henson Company retains the Creature Shop; as well as the rest of its film and television library including Fraggle Rock, Farscape, The Dark Crystal, and Labyrinth. In 2010, it was announced that the first major biography of Henson, sanctioned by the family and the Jim Henson Legacy, was to be published. The biography by Brian Jay Jones was published on September 24, 2013, Henson's 77th birthday. The moving image collection of Jim Henson is held at the Academy Film Archive. The collection contains the film work of Jim Henson and the Jim Henson Company. 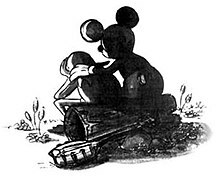 Disney artists Joe Lanzisero and Tim Kirk drew this tribute of Mickey Mouse consoling Kermit the Frog, which appeared in the Summer 1990 issue of WD Eye, Walt Disney Imagineering's employee magazine. Henson is honored both as himself and as Kermit the Frog on the Hollywood Walk of Fame. Only three other people have received this honor: Walt Disney as both himself and Mickey Mouse; Mel Blanc as both himself and Bugs Bunny; and Mike Myers as both himself and Shrek. Henson was posthumously inducted into the Walk of Fame in 1991. Henson was inducted into the Television Hall of Fame in 1987. The theater and Visual and Performing Arts Academy at his alma mater, Northwestern High School, in Hyattsville, MD, is named in his honor. Henson featured in The American Adventure in Epcot at the Walt Disney World Resort. The Jim Henson Exhibit, located in Leland, Mississippi, features an assortment of original Muppet characters, official certificates from the Mississippi Legislature honoring Henson and his characters, and a statue of Kermit in the middle of the stream behind the museum. The 1992 television special The Muppets Celebrate Jim Henson allowed the Muppets themselves to pay tribute to Henson. The special featured interviews with Steven Spielberg and others. Tom Smith's Henson tribute song, "A Boy and His Frog", won the Pegasus Award for Best Filk Song in 1991. The classes of 1994, 1998, and 1999 at the University of Maryland, College Park, Henson's alma mater, commissioned a life-size statue of Henson and Kermit the Frog, which was dedicated on September 24, 2003, which would have been Henson's 67th birthday. The statue cost $217,000 and is displayed outside Maryland's student union. In 2006, Maryland introduced 50 statues of their school mascot, Testudo the Terrapin, with various designs chosen by different sponsoring groups. Among them was Kertle, a statue by Washington, DC artist Elizabeth Baldwin, designed to look like Kermit the Frog. In 2003, Jim Henson was honored at the annual Norsk Høstfest in Minot, North Dakota. Our Atlan, Thibaut Berland, and Damien Ferrie wrote, directed, and animated a 3D tribute to Henson entitled Over Time that was shown as part of the 2005 Electronic Theater at SIGGRAPH. On September 28, 2005, the U.S. Postal Service issued a sheet of commemorative stamps honoring Henson and the Muppets. On August 9, 2011, Jim Henson posthumously received the Disney Legends Award. Two of his characters, Kermit the Frog and Rowlf the Dog, performed "The Rainbow Connection" in his honor. On September 24, 2011, Leland renamed one of their bridges "The Rainbow Connection" to honor Henson and his work. He was also honored with a Google doodle on his 75th birthday; the Google logo had six Muppets that were clickable using the "hand" buttons. The Center for Puppetry Arts in Atlanta opened a gallery of Muppets exhibits within the Worlds of Puppetry exhibition at the Center in November 2015, a greatly scaled-down version of what was announced in 2007 to have been a wing honoring Henson. In July 2016, Hyattsville, Maryland installed a memorial to Jim Henson in the city's Magruder Park, featuring a large planter embossed with images of characters from Sam & Friends and benches inscribed with quotes from Henson. A 300-exhibit tribute was opened by the Museum of the Moving Image, next door to the Kaufman Astoria Studios in Queens, New York, in July 2017. The Jim Henson Exhibition: Imagination Unlimited (June 1 – September 2, 2018) took place at Skirball Cultural Center in Los Angeles, California which featured more than 100 objects and 25 historic puppets. 1990 The Earth Day Special Yes No No Yes Kermit the Frog segment: "Kermit the Frog"
^ "The Jim Henson Company". henson.com. Archived from the original on February 3, 2016. ^ a b "Jim Henson". Encyclopædia Britannica. Encyclopædia Britannica Online. Encyclopædia Britannica Inc. 2012. Archived from the original on October 15, 2012. Retrieved September 24, 2012. ^ a b Altman, Lawrence (May 29, 1990). "The Doctor's World; Henson Death Shows Danger of Pneumonia". The New York Times. Archived from the original on October 16, 2007. Retrieved June 19, 2007. ^ a b c Padgett, John B. "Jim Henson". The Mississippi Writers Page. University of Mississippi Department of English. February 17, 1999. Archived from the original on August 29, 2007. Retrieved June 19, 2007. ^ a b c d e f Schindehette, Susan; J. D. Podolsky (June 18, 1990). "Legacy of a Gentle Genius" (reprint). People. Time. pp. 88–96. Archived from the original on February 21, 2012. Retrieved February 24, 2012. ^ a b c d e Blau, Eleanor (May 17, 1990). "Jim Henson, Puppeteer, Dies; The Muppets' Creator Was 53". The New York Times. Retrieved May 1, 2007. ^ "Toledo Blade". News.google.com. July 1, 1990. Retrieved April 23, 2014. ^ Finch (1993). p. 9. ^ Finch (1993). p. 102. ^ a b Collins, James (June 8, 1998). "Time 100: Jim Henson". TIME. Archived from the original on April 28, 2007. Retrieved May 1, 2007. ^ a b "The Man Behind the Frog". TIME. December 25, 1978. Archived from the original on September 30, 2007. Retrieved May 1, 2007. ^ a b c d e f Harris, Judy (September 21, 1998). "Muppet Master: An Interview with Jim Henson". Muppet Central. Archived from the original on September 26, 2015. Retrieved May 5, 2007. ^ a b Finch (1993). p. 22. ^ Plume, Kenneth. "Interview with Frank Oz". IGN FilmForce. IGN, February 10, 2000. Archived from the original on February 28, 2007. Retrieved May 6, 2007. ^ Freeman, Don (1979). "Muppets on His Hands". The Saturday Evening Post 251.8. pp. 50–53, 126. ^ a b c d e Harrigan, Stephen (July 1990). "It's Not Easy Being Blue" (reprint). LIFE. Archived from the original on August 5, 2007. Retrieved May 6, 2007. ^ "A Hell of a Man Himself". The Bluegrass Special.com. Archived from the original on October 20, 2011. Retrieved October 18, 2011. ^ "Jim Henson's Experimental Period". zenbullets.com. Archived from the original on April 22, 2009. Retrieved January 7, 2010. ^ Shales, Tom; Miller, James Andrew (2002). Live From New York: An Uncensored History of Saturday Night Live. Boston, MA: Little, Brown and Company. pp. 79–80. ISBN 0-316-78146-0. ^ Skow, John (December 25, 1978). "Those Marvelous Muppets". TIME. Archived from the original on October 16, 2007. Retrieved May 1, 2007. ^ Seligmann, J.; Leonard, E. (May 28, 1990). "Jim Henson: 1936–1990". Newsweek. ^ Finch (1993). p. 128. ^ "The Muppet Movie". Box Office Mojo. Archived from the original on October 17, 2013. Retrieved November 5, 2013. ^ Finch (1993). p. 176. ^ "1984 Yearly Box Office Results". Box Office Mojo. Archived from the original on November 3, 2013. Retrieved November 5, 2013. ^ Darnton, Nina (June 27, 1986). "Jim Henson's "Labyrinth"". The New York Times. Retrieved November 5, 2013. ^ Sparrow, A.E. (September 11, 2006). "Return to Labyrinth Vol. 1 Review". IGN. Archived from the original on February 21, 2014. Retrieved November 5, 2013. ^ a b "Dialogue on Film: Jim Henson". American Film. American Film Institute. November 1989. pp. 18–21. ^ "It is with great sadness that we confirm... - The Jim Henson Company". Facebook. Archived from the original on July 3, 2015. Retrieved April 23, 2014. ^ "Youtube News Coverage". Archived from the original on September 3, 2015. Retrieved November 5, 2013. ^ Blau, Eleanor (May 22, 1990). "Henson Is Remembered as a Man With Artistry, Humanity and Fun". The New York Times. Retrieved May 14, 2007. ^ Jim Henson Memorial 'Turn The World Around' Sung by Harry Belafonte. May 22, 1990. Archived from the original on June 25, 2013. Retrieved December 21, 2009. ^ Barry, Chris (September 7, 2005). "Saying "Goodbye" to Jim". JimHillMedia.com. Archived from the original on November 5, 2013. Retrieved November 5, 2013. ^ "At Jim Henson's funeral, the Muppets (and their human handlers) sang his favorite songs". NPR Fresh Air. Archived from the original on February 6, 2015. Retrieved November 5, 2013. ^ Plume, Kenneth (July 19, 1999). "Ratting Out: An Interview with Muppeteer Steve Whitmire". Muppet Central. Archived from the original on September 26, 2007. Retrieved July 11, 2007. ^ Parker, Ryan (July 13, 2017). "Kermit the Frog Muppeteer Says Disney Fired Him". The Hollywood Reporter. Archived from the original on June 18, 2018. Retrieved July 6, 2018. ^ "The Walt Disney Company and The Jim Henson Company Sign Agreement for Disney to buy The "Muppets" and "Bear in the Big Blue House"". Press release. The Walt Disney Company. Archived from the original on December 7, 2004. Retrieved January 16, 2013. 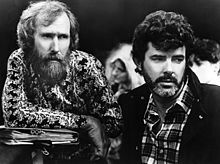 In the months before his death in 1990, my father Jim Henson pursued extensive discussions with The Walt Disney Company based on his strong belief that Disney would be a perfect home for the Muppets. ^ "The Walt Disney Company and The Jim Henson Company Sign Agreement for Disney to buy the "Muppets" and "Bear in the Big Blue House"" (PDF). Press release. The Jim Henson Company. Archived (PDF) from the original on June 16, 2013. Retrieved January 16, 2013. ^ "Disney buys Muppets as bid prospect fades". The Independent. February 18, 2004. Archived from the original on December 3, 2015. Retrieved December 31, 2011. ^ Barnes, Brooks (September 18, 2008). "Fuzzy Renaissance". The New York Times. Archived from the original on May 11, 2013. Retrieved December 29, 2012. ^ Meier, Barry (February 18, 2004). "Kermit and Miss Piggy Join Stable of Walt Disney Stars". The New York Times. Retrieved April 8, 2008. ^ Jason Boog (July 27, 2010). "Jim Henson Biography Acquired by Ballantine". Archived from the original on October 16, 2013. Retrieved November 5, 2013. ^ Jones, Brian Jay. Jim Henson : the biography. New York: Ballantine Books. ISBN 978-0345526113. ^ "Jim Henson Collection". Academy Film Archive. Archived from the original on July 3, 2016. ^ "Jim Henson: Hollywood Walk of Fame". Archived from the original on February 19, 2014. ^ "Honorees". Academy of Television Arts & Sciences. Retrieved June 5, 2018. ^ "Northwestern VPA". sites.google.com. Retrieved June 5, 2018. ^ "The American Adventure". WDWThemeParks.com. Retrieved June 9, 2018. ^ "Jim Henson Exhibit, Leland, Mississippi". TripAdvisor. Retrieved June 5, 2018. ^ "Tom Smith". Pegasus Awards. Ohio Valley Filk Fest. Retrieved September 3, 2007. ^ "Jim Henson Statue & Memorial FAQ". UMD Newsdesk. University of Maryland. July 28, 2004. Retrieved June 19, 2007. ^ "''Jim Henson.10/8/2003'' (Scandinavian-American Hall of Fame)". Hostfest.com. October 8, 2003. Archived from the original on October 5, 2011. Retrieved September 24, 2011. ^ "Keep it in Motion - Classic Animation Revisited: 'Overtime'". Animation World Network. Retrieved June 5, 2018. ^ "damien ferrie on Behance". www.behance.net. Retrieved June 5, 2018. ^ Dakss, Brian. "Muppets Get Their Own Stamps". CBS News. Retrieved June 5, 2018. ^ Goldhaber, Mark (September 2, 2011). "Disney Legends Class of 2011: Modern princesses, the Muppet master and more". USA Today. Archived from the original on November 1, 2013. Retrieved September 16, 2013. ^ "Muppets Creator Jim Henson Honored on 75th Birthday". The Hollywood Reporter. September 24, 2011. Archived from the original on October 12, 2016. Retrieved September 17, 2016. ^ Cavna, Michael (September 24, 2011). "JIM HENSON's MUPPETS: New Google Doodle celebrates late creator's 75th birthday". The Washington Post. Archived from the original on September 24, 2011. Retrieved September 24, 2011. ^ Bennett, Rebecca (July 9, 2016). "Magruder Park now home to memorial honoring Jim Henson's legacy". Hyattsville Today. Hyattsville, Maryland. Archived from the original on July 13, 2016. Retrieved December 5, 2018. ^ Teague Beckwith, Ryan (July 8, 2017). "How Route 1 Honors Jim Henson". The Hyattsville Wire. Hyattsville, Maryland. Retrieved December 5, 2018. ^ Hoffman, Jordan (July 20, 2017). "Psychedelia, clubbing and Muppets: inside the world of Jim Henson". The Guardian. Archived from the original on July 20, 2017. Retrieved July 21, 2017. ^ "Peek Inside the Magical New Jim Henson Exhibit". NBC Southern California. Retrieved August 8, 2018. ^ "The Jim Henson Exhibition: Imagination Unlimited". Skirball Cultural Center. March 7, 2018. Retrieved August 8, 2018. ^ "Jim Henson at Behind the Voice Actors" Retrieved September 22, 2017. Jones, Brian Jay (2013). Jim Henson: The Biography. New York: Ballantine Books. ISBN 978-0-345-52611-3. Wikimedia Commons has media related to Jim Henson. This page was last edited on 15 April 2019, at 03:22 (UTC).